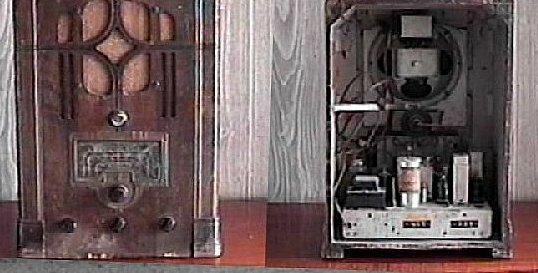 Vintage Radio restoration is a passion of mine. It always gives me a thrill to bring one of these relics back to like new condition. 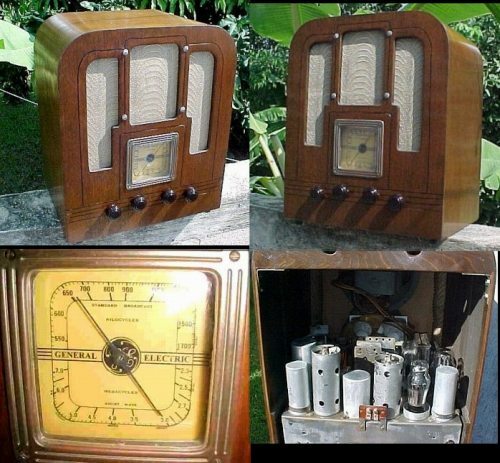 There's alot of sites dealing with real valuable old radios, but this is a site for the 'common tinkerer' with budgetary concerns who likes to have a good time refurbing and tinkering. Most of the sets on these pages cost me less than $100, many under $50. There's before and after photos of many of the sets and case histories and descriptions of what it took to make 'em work again. I add 'finished' photos as they get done, but photography and webpage design are not my hobbies! This site started in 1997 and is constantly growing. I do this for fun and this is not a sales site. 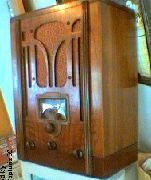 Any thing for sale at the moment will be listed at Radio Attic. Back to Basics - click to see my HOMEBREW sets ! A real common, but nice radio. I've done two of them and find them to be nice little radios. So who is Paquette? Give her a call and find out. Another one of those big table models. A great radio! There's a story here. Has it been that long ago since one of these was on your granny's table? Real wood on this puppy. One of my first restorations. I'm a sucker for this era of RCAs. They're great radios. It works! And receives surprisingly well. This one took alot of work but came out beautiful. Rare little 5-tuber. Mom's kitchen radio. Too cute! 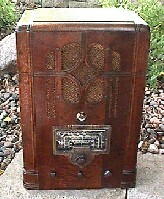 When this one arrived, the veneer didn't come out of the box at the same time as the radio. Whatzit? 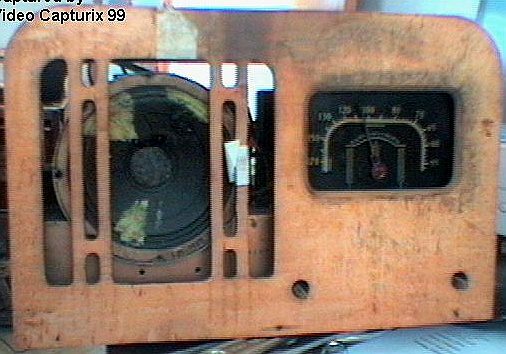 Its a little AM/SW table radio built by a big WWII military electronics supplier. I understand they were sold in PXs during WW2. Anybody remember it? This is a photo of how it arrived here at the Sparkbench, and yes, it was saved. 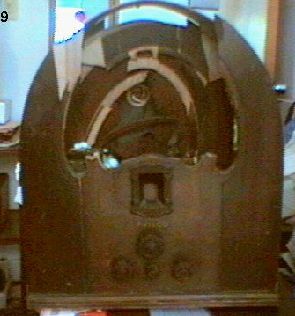 Solid old SW radio. Was in nice shape so I really didn't do much to it. 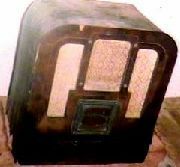 This is my 'beehive' radio awaiting restoration. Plays well, but somebody put stick-on vinyl across the 'hive' as a repair and it needs to be re-veneered. Coming soon! 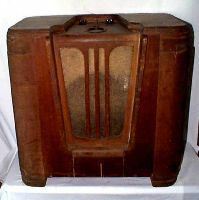 My first SW radio at age 14 was one of these. I bought it from my shop teacher in 7th Grade for $5. Still a keeper and recently did a refurb on the chassis. Another one I bought from my shop teacher in 1967 - for $1.25! Recently gave it a refurb too. Click to see what it looked like before. Massive refurb project and it turned out beautifully! Here's a little photo of the shack and antenna. 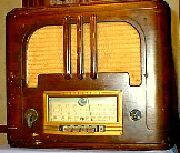 A real 100% Italian radio. Rather unique if you ask me. A new acquisition 8/99. 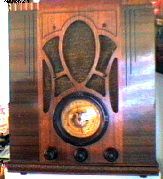 A beautiful radio after it was redone. This has got to be the biggest table radio ever made. Quite a refurb project. Another new one. RCA tombers can count on a warm welcome at the Sparkbench. click to see my HOMEBREW sets ! Back to "Recipes From Venus and Mars - Exray's Homepage"
or take a sidetrip to "Vieques Homepages"